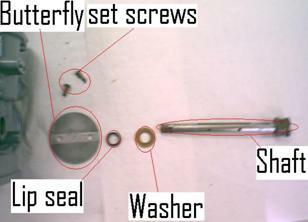 Butter fly assembly, be easy on the set screws the may be staked in place, if they are go REAL slow or they will break. Shaft slides out one side, make sure the neoprene washers are in good repair and check the rubber lip seals to insure they are not dry rotted and cracked. Rub them down with Olive Oil real good before reassembly. Use olive oil because it will penetrate the seal better and last longer than other lubricants. 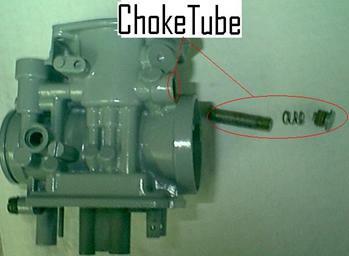 If these seals are bad, the effected cylinder will run lean do to air sucking in the side. 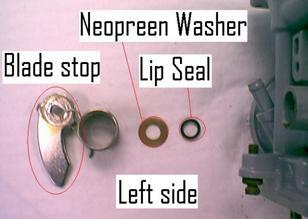 The only thing else to make sure is, make sure you clean/remove the fine mesh brass screen under the fuel needle. Use a 10 mm. socket to remove it from the main body, when you remove it flip it over and you will see what I mean. I run inline filters and remove this one. 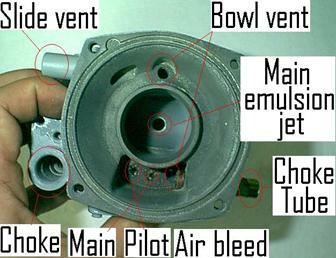 Hope this helps with the CV carb and a little insight to its workings.